Indeed, philanthropists such as Bill Gates have such high hopes for the new method that they have given money to KhanAcademy, a tiny non-profit organisation based in Mountain View, next to Los Altos. This means that the more than 2,400 video lectures, on anything from arithmetic and finance to chemistry and history, will remain free for anybody. If KhanAcademy were merely about those online lectures, of course, it would be in good but large company. Increasingly, teachers, professors and other experts make their talks available online: on iTunes, YouTube or university websites. Some, such as Michael Sandel at Harvard with his philosophy lectures, have become minor celebrities. More and more sites exist purely to spread learning—some free, such as AcademicEarth.org; others not, such as TheGreatCourses.com. Watching lectures online, or on a smartphone or iPad on the go, has advantages, as Mr Khan has discovered from the huge number of comments he gets on his site. Children (or adults, for that matter) need no longer feel ashamed when they have to review part or all of a lecture several times. So they can advance at their own pace. But lectures, whether online or in the flesh, play only a limited role in education. Research shows that the human brain accepts new concepts largely through constant recall while interacting socially. This suggests that good teaching must “de-emphasise lecture and emphasise active problem-solving,” says Carl Wieman, a winner of the Nobel prize in physics and an adviser to Barack Obama. The piece visits the Los Altos classroom and explains how the Khan Academy functions inside a classroom. It also explains how the project fits inside of education reform ideas and which groups oppose the methods and why. The system has its detractors. First, it may not be much use beyond “numerate” subjects such as maths and the sciences; KhanAcademy does have a few history offerings, but they are less convincing than the huge number of maths and science ones. Second, even in these subjects KhanAcademy implicitly reinforces the “sit-and-get” philosophy of teaching, thinks Frank Noschese, a high-school physics teacher in New York. That is, it still “teaches to the test”, without necessarily engaging pupils more deeply. Worse, says Mr Noschese, KhanAcademy’s deliberate “gamification” of learning—all those cute and addictive “meteorite badges”—may have the “disastrous consequence” of making pupils mechanically repeat lower-level exercises to win awards, rather than formulating questions and applying concepts. Ideally, every student should be mentored by educators engaging each pupil. Until that day arrives, we need more paths to education at lower costs. OSE can change the world in a single generation, making education available to everyone with online access. OSE is disruptive to current models, especially those tied financially to the status quo. 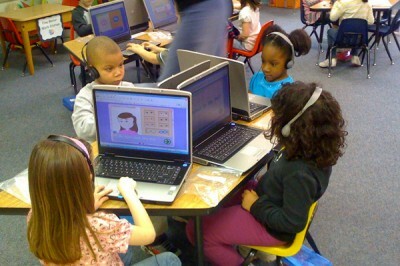 Technology exists to offer curricula in formats limited only by our imagination. People learn in different ways. If subject mastery can be objectively measured, who should care how many paths to mastery exist? As content grows, the need for accreditation grows. One solution is separating accreditation from content providers. Imagine being able to seek out freestanding accreditation providers with standards exceeding those of many colleges and universities. The greatest flaw in secondary education is not a lack of money but a lack of measurement, and accreditation, delinked from five and six-figure costs for courses. 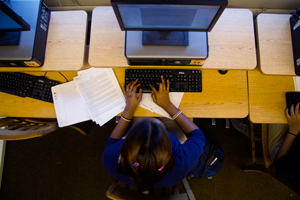 There is no secondary level equivalent to the GED. There should be! And there should be higher level certifications with no regard for sources and methods where objective mastery can be demonstrated. Too many diplomas are designer labels on shabby fabric. More complete curricula is a first step, as is providing paths to unimpeachable accreditation. Respectable accreditation creates new opportunities for measurement as well as online mentorship, for free or for hire, to address criticisms of teaching to tests. We should remember, though, pilot training is mostly teaching to tests. The key to mentorship, as with accreditation, is quality output. Sadly, the quality bar in education in general is too low. OSE will have arrived when certificants are held in higher regard than graduates of many traditional institutions. I hope it won’t be long!